Two people -- including a woman in a wheelchair -- were pulled from Lake Michigan at DuSable Harbor on Friday night. A 61-year-old woman who was rescued after falling while in a wheelchair into Lake Michigan at DuSable Harbor last Friday has died. Sarah Goenne, 61, of West Chestnut Avenue was pronounced dead at shortly after noon Wednesday at Northwestern Memorial Hospital, according to the Cook County Medical Examiner's office. Goenne was hospitalized Friday night after she and a 59-year-old man were rescued by police and fire crews after falling into Lake Michigan at DuSable Harbor downtown. She wasn't breathing and had no pulse when she was pulled from the water, but responding personnel performed cardiopulmonary resuscitation on her. One of the officers said she was later alert and talking at the hospital. 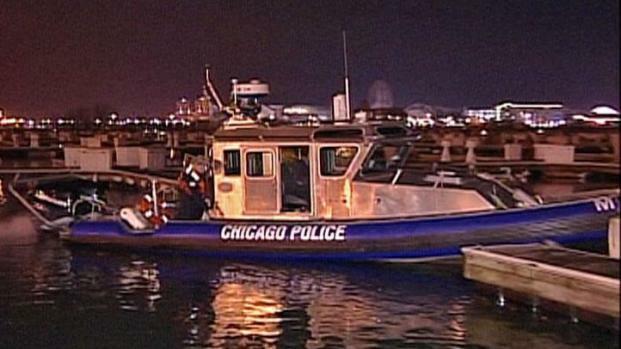 Chicago police Marine Unit officers who'd just completed a training drill on Friday night were called to action after two people -- one of them in a wheelchair -- fell into Lake Michigan at DuSable Harbor. Police are treating her death as an accident and an autopsy is scheduled for Thursday.